How important do you think it is that candidates for Congress have a basic understanding of scientific issues? This statistic is based on a survey conducted in January 2018. 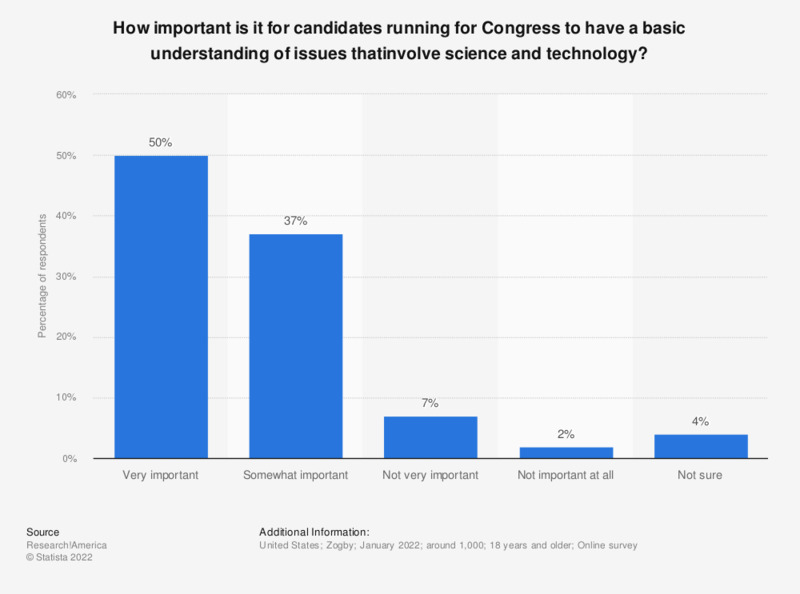 It displays how important is it that the candidates for Congress should have a basic understanding of scientific issues discussed in the United States. According to the survey, it is very important for 46 percent of respondents.